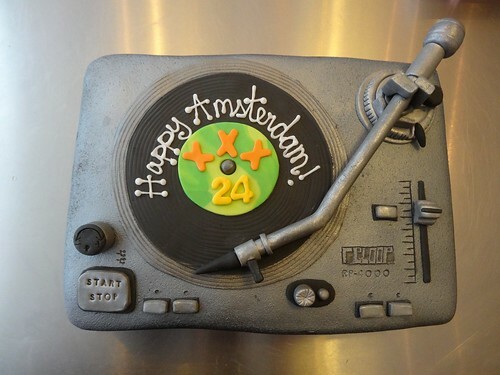 DSC02766, a photo by CAKE Amsterdam - Cakes by ZOBOT on Flickr. RELOOP turntable for a DJ inspired birthday! FLAVOR : Banana Cake with chocolate buttercream and pieces of banana.